social media platform to communicate and share information digital banking services for Foresting participants a lab to support the Foresting community and content creators. Each of the three services is separated into their respective functions and roles to fulfill the core values of the Foresting network. In the 3rd generation Dapp era, we will move away from the centralized platform problems of existing social media, the leakage of personal information and abuse contents. We create a new social media ecosystem – blockchain SNS for freedom. “Connecting the world and making lives more valuable” FORESTING is the platform’s revenue chain that allows users to quantify the content provider’s contribution to offer rewards using a distributed consensus method. FORESTING is designed to build a network by distributing income though reasonable content generation and on the assessment of the users’ content. It supports all types of content, whether it is text, images, videos, audio, or live broadcasting, and provides a social network based on a content-oriented rewarding service. 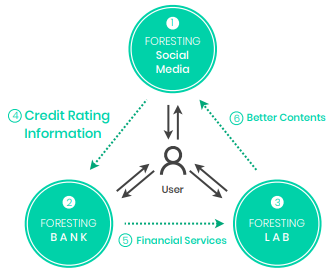 The purpose of FORESTING Bank is to support financial services that are required by users so that they can fully focus on creating the content at the center of the FORESTING Network. Users can contribute to the FORESTING platform through a variety of activities, including creating and providing content, writing comments, liking, and sharing. The contribution of users is evaluated using a new contribution assessment model presented by FORESTING Bank. Users will be provided with a variety of financial services depending on the contribution level on the platform which is based on the level of their connections, the quality of their content, coin acquisition, and transactions. Users can improve their credit ratings just by working on social networking sites, and have an amazing experience with broader economic potential. Users could not fully focus on content creation before. Some were categorized as selfemployed or had to suffer economic difficulties such as low income. Financial services from existing banks are based on income, money transactions and credit ratings. Therefore this platform will lead to better content creation, enhance the quality of the content across the FORESTING platform, and ultimately lead to a virtuous circle structure that extends the rapid expansion and impact of the FORESTING platform. The purpose of FORESTING Lab is to provide infrastructures for communities who participate in the FORESTING Network and support content creators who want to make content and post on the FORESTING platform. 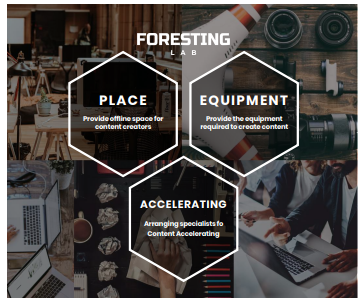 The FORESTING Lab runs an offline collaborative space for FORESTING users. 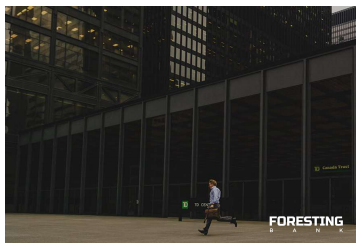 FORESTING’s collaborative space is accessible to any participant in the FORESTING Network and is used fully to expand the FORESTING Network and develop the community. This space provides a place for the users at the core of the FORESTING Network to create higher quality content, along with the equipment needed such as cameras, microphones, lights, speakers, and instruments. Users no longer have to give up being a content creator because they cannot afford the space or equipment to create the content. By doing this, FORESTING will be able to offer high-quality content and build a stronger post-staging ecosystem. The PTON token will be issued as a total of 24,000,000,000 (24 billion) tokens with ERC-20, with 40 % of the total token set for sale. ICO participants may receive the swap through the listed exchange wallet or the FORESTING wallet after the launch of the FORESTING mainnet.